So many forges have such small fireboxes. Not this one! It features a 12 inch long and 6 inch high firebox! 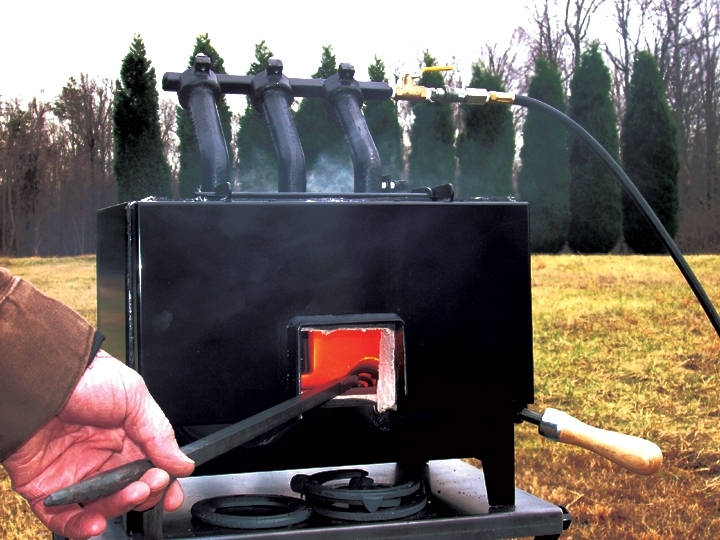 Imagine all the nice big pieces you can work with in this forge. The barstock port in the front and back door is great for isolated heats. If you want the ports on the ends, see the Daddy 2 with open end ports. Rear bar-stock door. 3" x 2"